On Thursday morning I woke to find myself featured in a mini-media firestorm. Why? Because I had shaken the hand of a woman I had just interviewed. But this wasn’t any woman – it was Kaci Hickox, 33, the nurse who is challenging her 21-day quarantine after returning from treating Ebola victims in Sierra Leone. Stories were written of our encounter with headlines such as: ‘Nurse breaks quarantine, shakes reporter’s hand’. It was newsworthy because she should not have contact with the public. I was one of a handful of reporters outside her home in Fort Kent, Maine, when she decided to come outside and talk about her ‘appalling’ confinement. Under Maine’s official health guidelines she is not supposed to be in public until the three-week period is over. That is not until November 10. The guidelines are not mandatory but are voluntary. After she made it clear that she doesn’t intend to stick to the rules – which are more stringent than those imposed by the CDC – Maine officials are preparing to secure a court order to force her to stay away from the public. 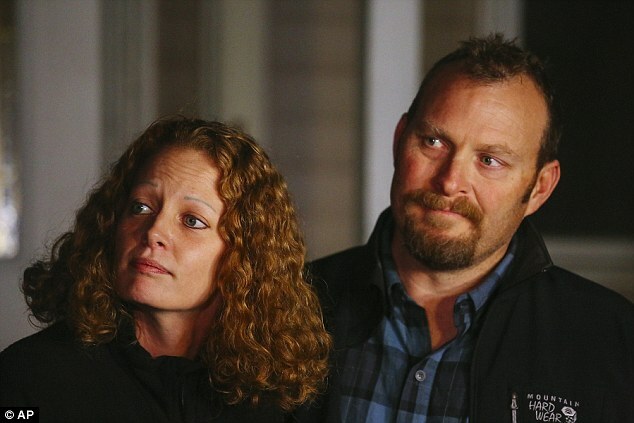 Defiant Hickox is living with her boyfriend, Ted Wilbur – who has been out and about talking to friends. 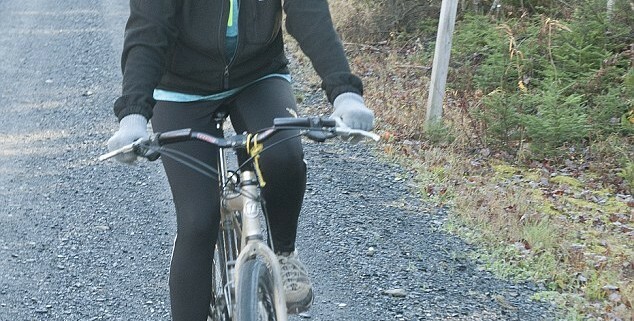 And on Thursday she went for a bike ride followed by a gaggle of reporters and cameramen. Despite a state trooper being stationed outside the house, no one tried to prevent people from getting close to her. 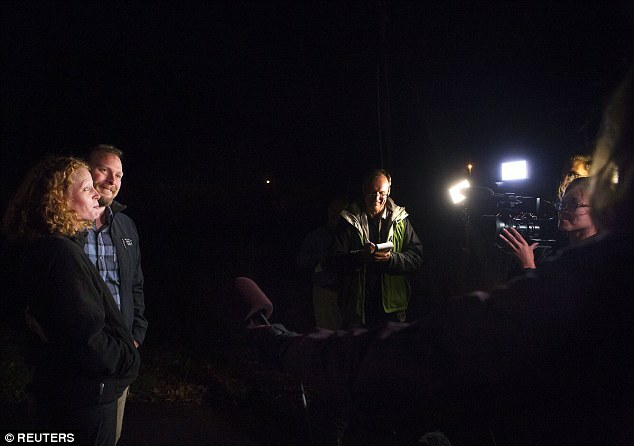 Wednesday night’s impromptu press conference was the first time I had been face-to-face with Hickox. Towards the end she bemoaned the fact that despite showing no symptoms of infection, she shouldn’t hug or even shake her hand of people she meets. On the spur of the moment, I simply said: ‘I’ll shake your hand,’ and I did. It felt like a common courtesy to someone I had just been asking questions of. It was a brief handshake, nothing memorable, something I have done thousands of times before. She had a firm grip. She looked me briefly in the eye and thanked me. I turned to leave her property as she and Wilbur went back inside. One local Maine journalist told me he had thought about doing the same but I got there first. Medical experts say the chances of Hickox falling ill from Ebola are now extremely remote and the risk of transmitting the virus while she is healthy are so slight as to be virtually non-existent – particularly to someone like me who touched her hand so briefly. President Obama on Wednesday tried to reassure the public that it is safe to touch healthcare workers returning from Ebola ‘hot zones’ when he did the same and shook the hands of doctors and nurses in the 21-day risk period at the White House. The one question I have been asked repeatedly since is: ‘Did I wash my hands afterwards?’. Standing in front of her boyfriend’s house, as the police tasked with watching her looked on from across the street, Miss Hickox told the waiting media contingent that she will continue to fight her quarantine orders, even if she is charged for breaking them. ‘We have been in negotiations all day with the state of Maine and tried to resolve this amicably, but they are not allowing me to leave my house and interact with the public even though I am completely healthy and symptom free,’ Miss Hickox said, according to The Press Herald. 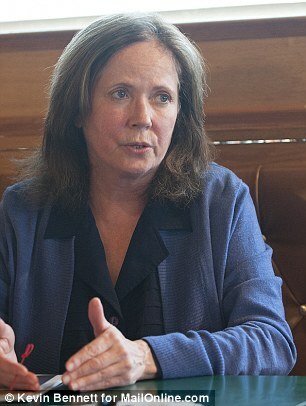 Hickox shook the hand of MailOnline’s reporter at the scene and said: ‘You could hug me. You could shake my hand. 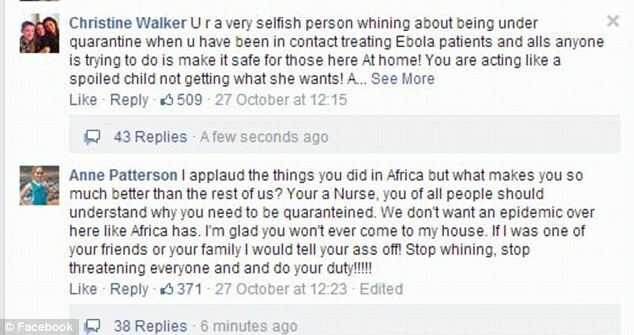 I would not give you Ebola’. The Doctors Without Borders nurse believes she flew into New Jersey from treating dying Ebola patients in West Africa on ‘the wrong day’. She claimed that many other aid workers have entered the country and continue to do so without having to go through what she had. Hickox said she remains healthy and has not shown any Ebola symptoms and that the measures she’s being forced to comply with are over-the-top. 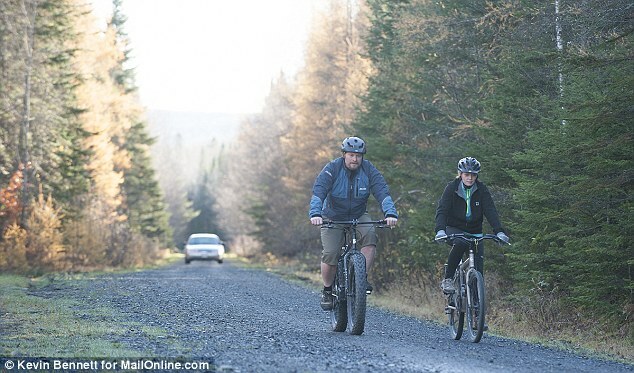 However residents of Fort Kent, a small rural, logging community, where she is staying have said that ’21 days (of quarantine) is better is better than 21 deaths’ and that it is a necessary precaution. 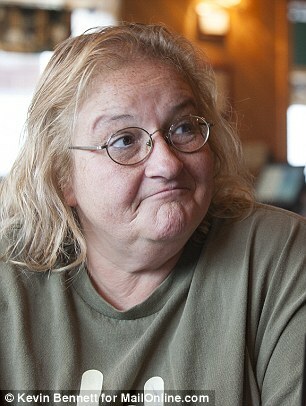 ‘I’m upset that Chris Christie ever let her go from New Jersey,’ said resident Anne Dugal. ‘He should have kept her there longer. 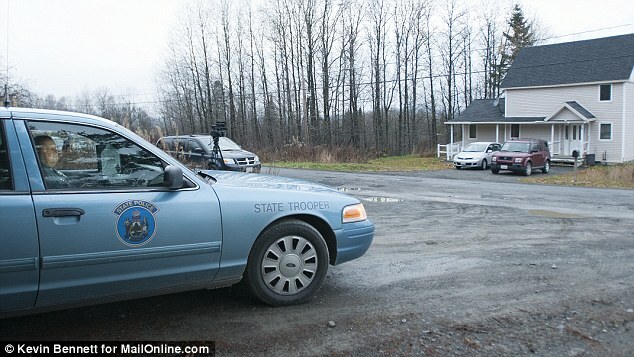 Ted Wilbur, Miss Hickox’s boyfriend, had walked over to the police parked across the street from their house on Wednesday to check Hickox would not be arrested for leaving the house. She did not go any further than the driveway and police remained across the street for the press conference. 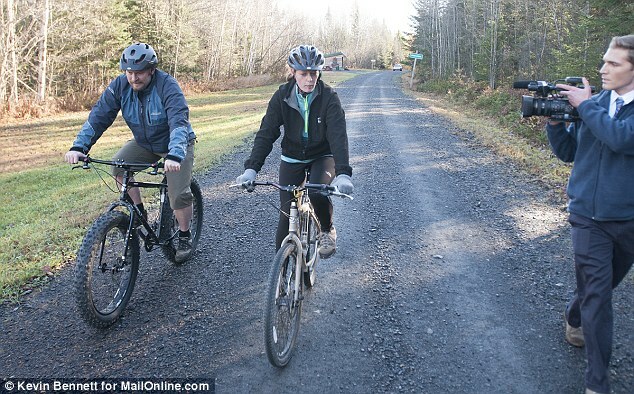 Attacks on Hickox have come thick and fast after she told both NBC’s ‘Today’ show and ABC’s ‘Good Morning America’ that she planned to stay in her home on the outskirts of Fort Kent only for one day after being driven back from New Jersey. 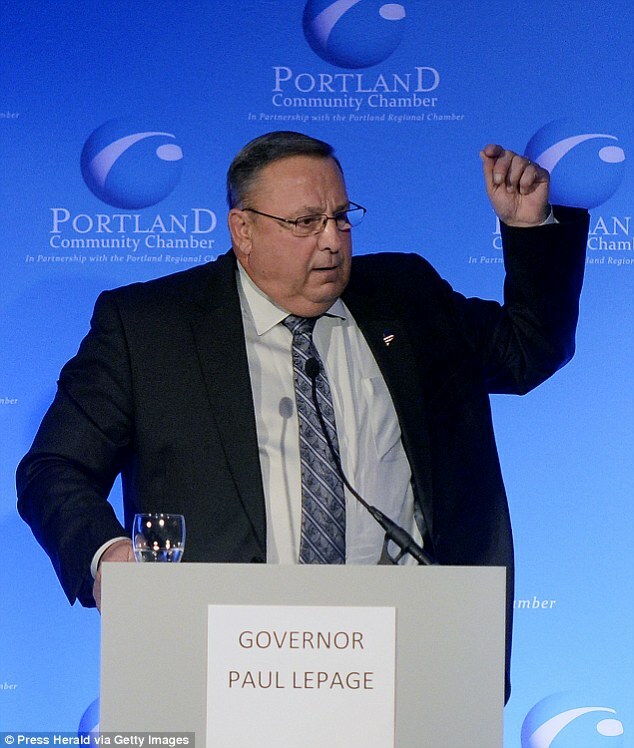 Maine Governor Paul LePage stationed state troopers outside the house that Hickox, 33, shares with her boyfriend Ted Wilbur, setting the stage for a showdown should she decide to leave. The governor’s office did not say whether the nurse would be arrested if she tried to leave, but said state police were stationed outside the home ‘for both her protection and the health of the community’. The state’s guidelines are voluntary but Governor LePage wants to make it mandatory and enforceable with a court order. According to NBC the hearing is not likely to be held until Monday – the day before LePage faces re-election and four days after Hickox has vowed to leave her home. But both the town’s chief of police, Tom Pelletier — Cathie’s third cousin — and Dr. Michael Sullivan, the chief medical officer at Fort Kent’s hospital the Northern Maine Medical Center, said they wanted to shake Hickox’s hand and thank her for the work she has been doing helping the sick. The conflicting views go to the heart of the confusion surrounding the approach taken by the federal government, the CDC, and individual states to the Ebola crisis and quarantine rules. They came as many took to Facebook to slam Hickox for refusing to lock herself away for three weeks – and at the medical center where panicked patients are canceling appointments – even though Hickox has gone nowhere near it, the hospital’s boss said. Hickox and Wilbur returned to their three-bedroom home on the outskirts of Fort Kent under cover of darkness on Tuesday night after a stopover at his uncle’s house in Freeport, Maine. They had driven nearly 500 miles from Newark, New Jersey where she had been held in quarantine following her arrival in the U.S. from Africa. Hickox, 33, had been treating Ebola sufferers in Sierra Leone with the medical charity Doctors Without Borders. She has shown no signs of the disease but a forehead thermometer showed she had a slight temperature when she arrived at Newark Liberty International airport, which she has put down to being flustered or a faulty thermometer. Governor Chris Christie departed from national policy and had tried to confine her to a tent inside a hospital for 21 days. But after she threatened legal action and the White House intervened, she was allowed to travel on the understanding that she would put herself in voluntary isolation in accordance with Maine state guidelines. Hickox has since declared that she will not be bullied by ‘appalling’ confinement rules and plans to fight for her freedom if restrictions are not lifted by Maine officials on Thursday. 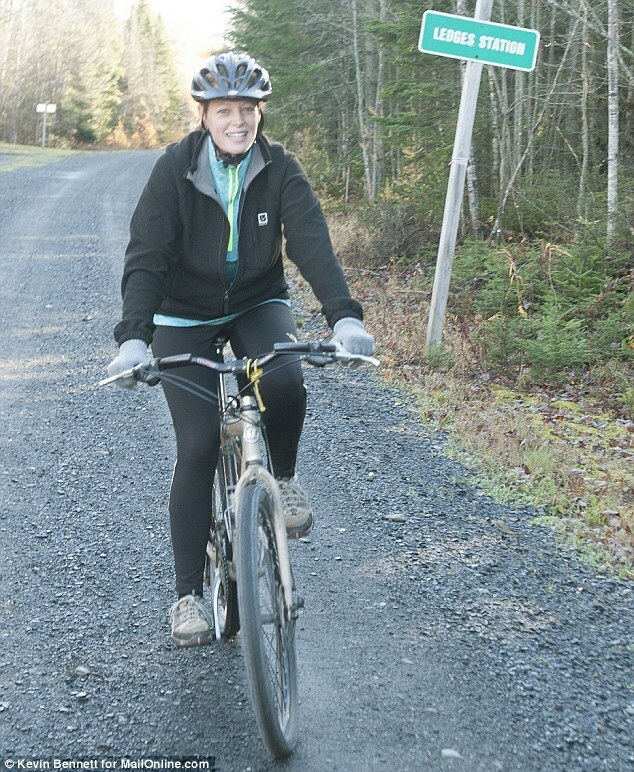 Hickox has said she would abide by all the self-monitoring requirements of the Centers for Disease Control and Prevention. This does not stop people from traveling outside their home, but instead advises them not to go to large gatherings. It also calls on them to take a series of tests twice a day to monitor whether they are developing symptoms. Doctors insist that the virus is not contagious until symptoms develop.